Welcome back to another edition of Mel is Watching, this week probably gave me one of my favorite episode of the current season of My Hero Academia, but before getting to that let take a look at the other show. 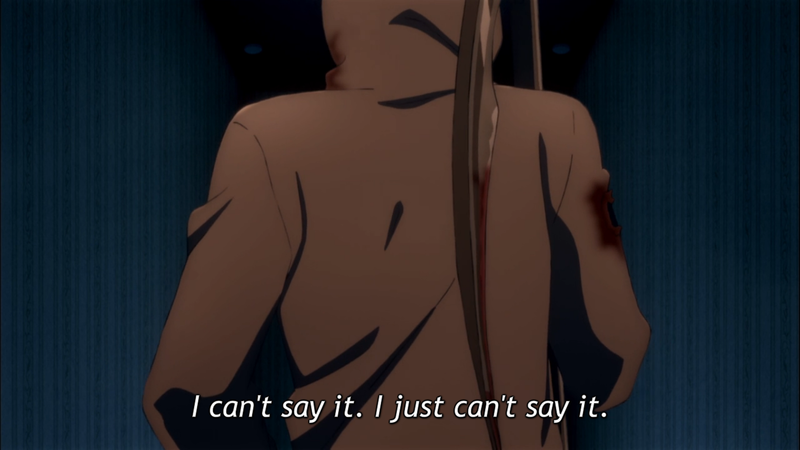 With this episode I will stop trying to figure what is happening and where they are, now I just want to know what happened to Rachel, it seems like she did something horrible, however I more have the feeling that she saw something and she didn’t talked about it. There is 5 episode to go and we might finally learn more about her, at least I hope so. On hold until the end of the 3rd season. What did I learn in this episode, Yami is hot (this I already knew) and really strong and scary, what we didn’t learn, it’s the demon thing, of course they will not talk about it now. Vetto gone now the Black Bulls might be able to leave with the Crystal, cause yes if you remember the whole point of the mission was a crystal and not the old geezer game. I feel like a certain wizard King will have a lot of question to ask. This my friend is the reason why you need to stay hydrated during long heat period. Drink water, if you have to add a little bit of salt do it. Stuff like GatoradeTM and PoweradeTM full of electrolyte can really help to. So during the next heat wave, be nice to your body and always keep you water bottle close to you if you don’t wanna end up at the hospital like the body in which live our dear Platelets. Makoto find what he want to do it the future, train swimmer and I have to say that it’s a great career path for him. He know how to listen and can explain thought in a way the other understand clearly even if he have to use weird example for that. 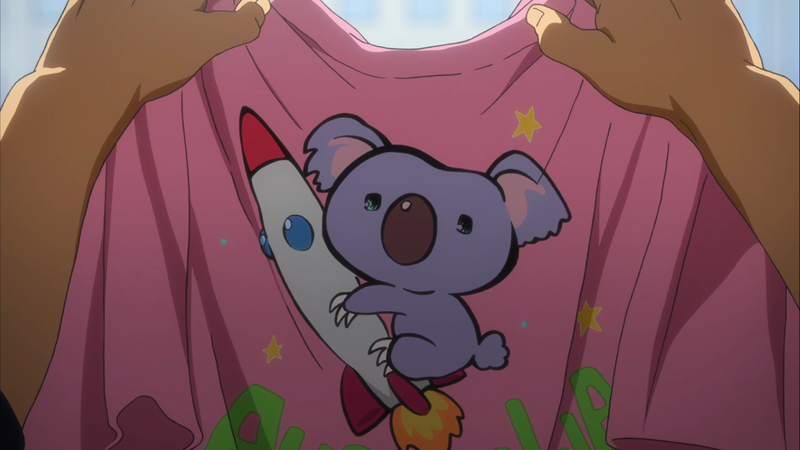 Something else happen in this episode, Sousuke surgery was a success and we see a nice meeting of him and Rin (thank you Rin for that t-shirt btw). This episode was synonym of new beginning, it show us the boy getting more mature and changing. I was afraid Haru get depressed after his lost, but instead he worked even harder, which prove that he grew up a lot. There is two episode left and I really wonder what they will reserve us. Finally we are here, I was really looking forward this episode so several reason. One, of course the fight, the animation department did an awesome job I love the visual and the fighting sequence. But the main reason was cause of Kacchan, when I read the manga, I felt the pain, pain he always kept for himself, never talk about it, always try to look thought. I knew this episode would be great an emotional level since the previous episode. 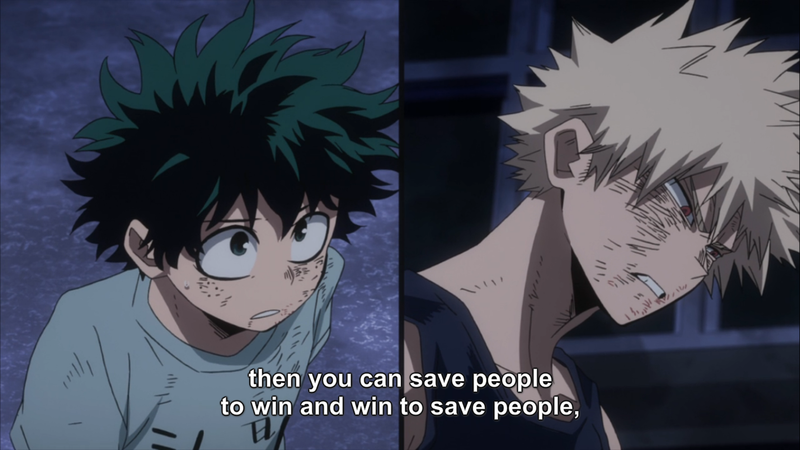 His speech really set the tone and the atmosphere, now he just needed to pour everything out and the only one who could understand him, it’s Deku so that fight needed to happen. Another reason why this episode is great it show how adults can overlook the metal stand of student, All Might said it, Bakugo add to go through the exam with the thought of having ending All Might pro career, Aizawa soften up a little when he hear that cause he knew All Might was right. Not once the teacher worried about what Bakugo could think, how he was feeling. Yes he can be rough, but we can’t forget that at the end he is a 15/16 yrs old teenager who witness his favorite hero and role model using up all his power cause he needed to be saved. My Hero Academia was definitely my favorite episode of the week, closely followed by Free! 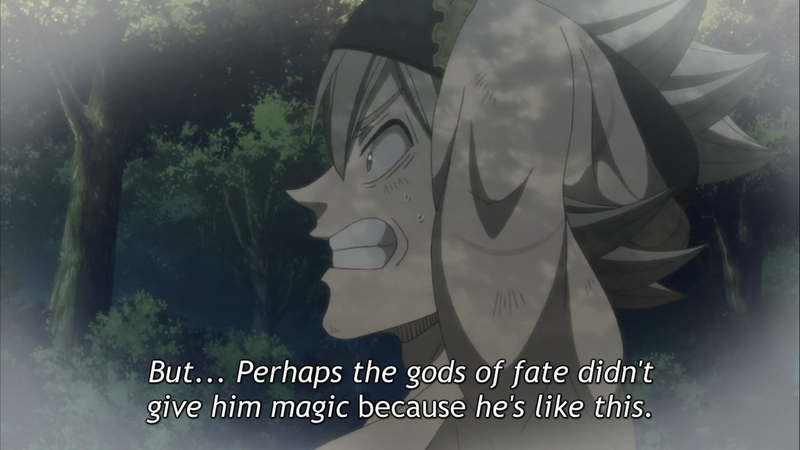 And Black Clover. If the latter continue like this, I will most certainly keep up with it until the end and bear with the dragged fight. Did you watched any of those series? Which was your favorite episode ? My Hero Academia certainly delivered this week and Cells at Work was really fun. However, I think Attack on Titan is still the show that has surprised me the most this season with how much I am enjoying it. I’m holding on Attack of Titans just in case there is more cliffhanger to come, I will just binge-watch it once the season is over. But I’m looking forward to watch it. I was already enjoying the few episodes that I watched. Yeah, the endless cliffhanger endings can get tiring. At the moment it isn’t bothering me so much for the simple reason that it feels like the plot is moving forward. It was worse last season where we kept ending on a cliff hanger but it just kind of felt like we weren’t getting anywhere.